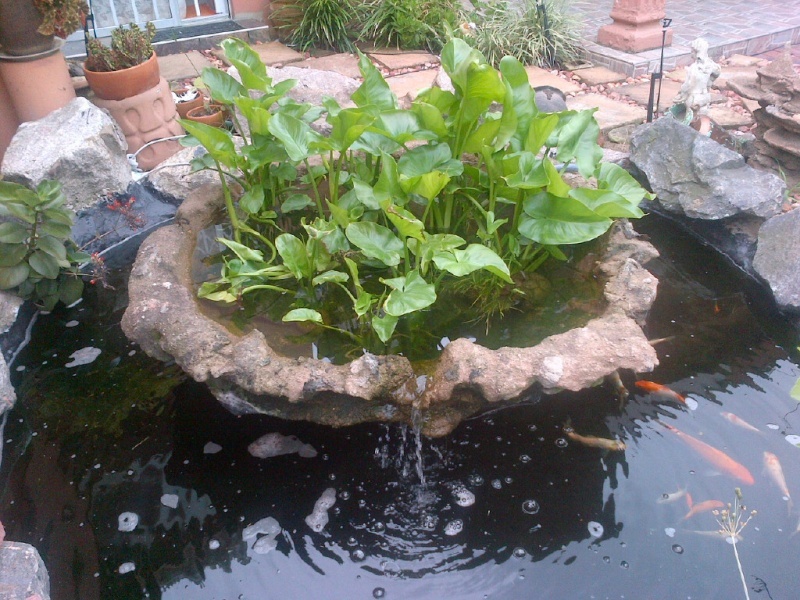 Water plants look lovely and create a tranquil environment and compliment your pond. They are expensive. 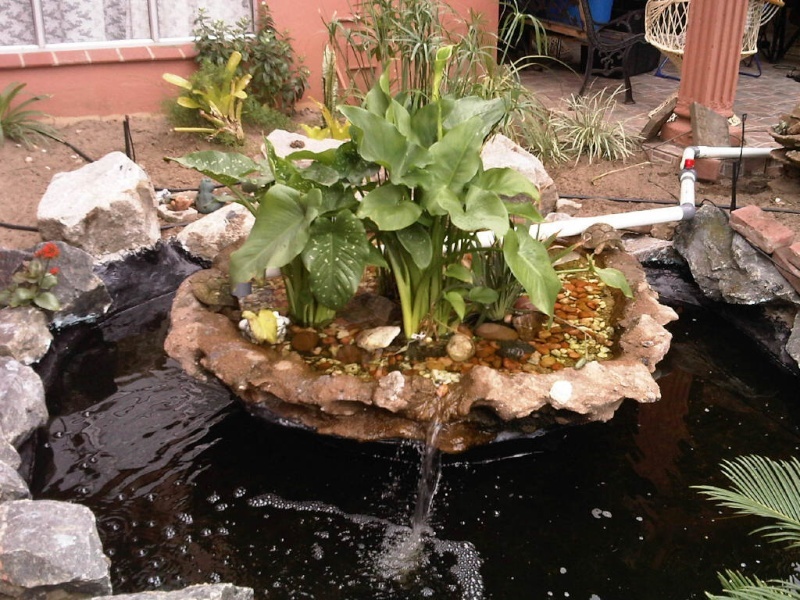 The current price of a normal fairly small water Lily is currently R 50.00. Because you are limited with your salt concentration, you might have more algae growth, but on the other hand, your plants may use all the nutrients and leave none for the algae to grow. 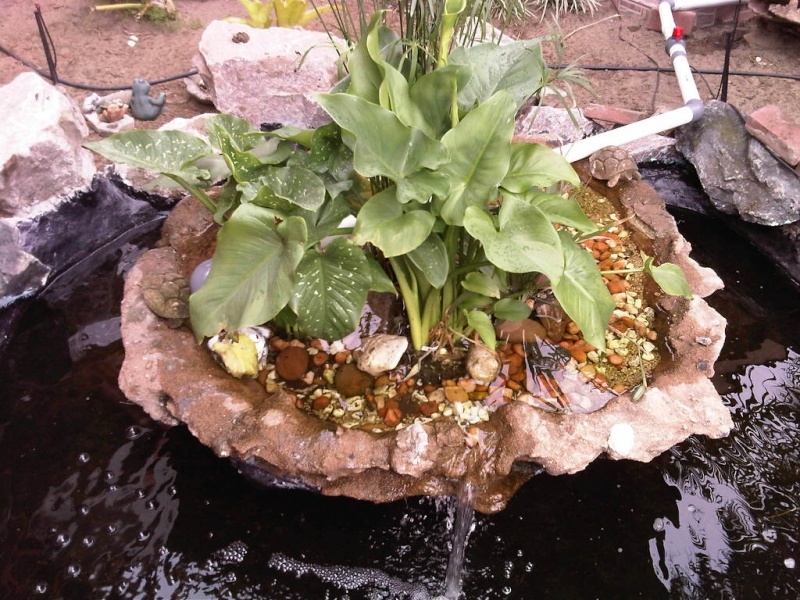 They preclude you from treating the pond properly with certain chemicals. The big Koi tends to eat the plants. 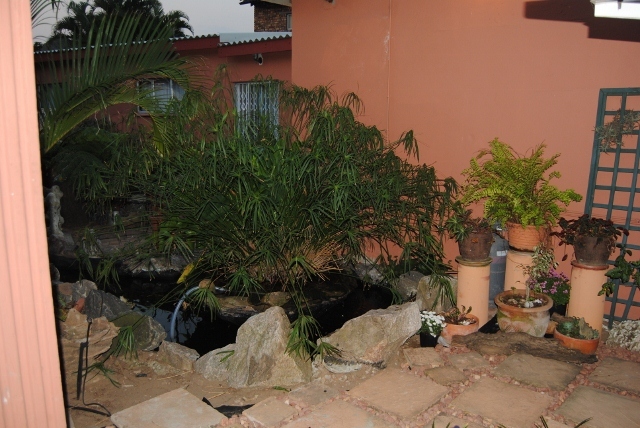 It is therefore sometimes needed to protect the plants from access by the fish. The ideal is to place your plants in your bio filter. If there are too many plants, you might not see the fish. 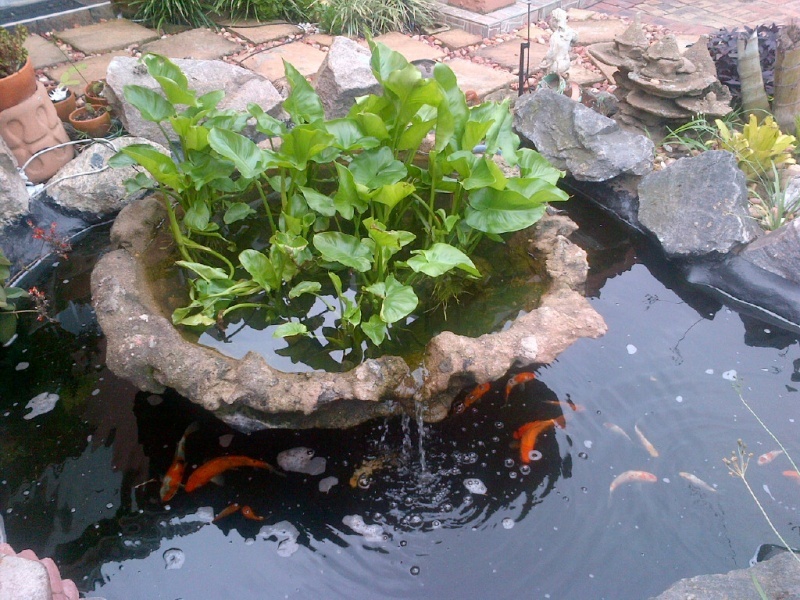 They can easily overgrow the pond and require constant attention if not controlled properly. They help to eliminate Ammonia, Nitrites and especially Nitrates. At night time they use oxygen and therefore compete with the fish if there is limited oxygen in the water. They compete with and therefore control excessive algae growth because they use the Nutrients and Nitrates in the water also required by algae. During day time they create oxygen which is beneficial to the fish. They provide spawning material in the spawning season. After spawning, the plants can be removed easily and placed in a spawning tank, thereby preventing the fish from eating the eggs. In my post above I mentioned that all plants have to be treated with Potassium or Dipterex. 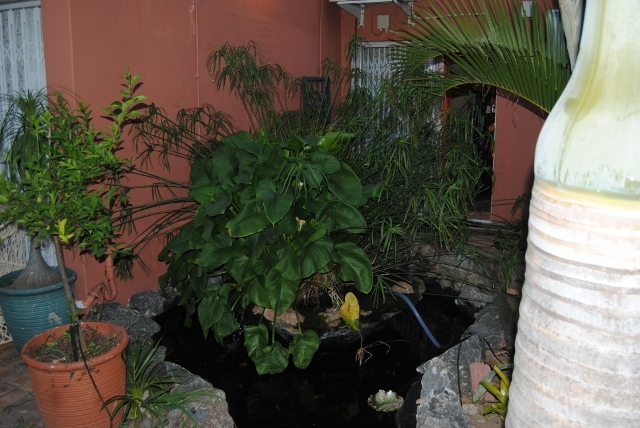 I recently introduced plants to one of my ponds, and eventhough I treated with Potassium, I had problems with leeches. In view thereof, I will treat with Potassium AND Dipterex in future. The Potassium is very good for most parasites including snails but does not sort out leeches. In addition to what I said above about the pros and cons, also bear the following in mind. 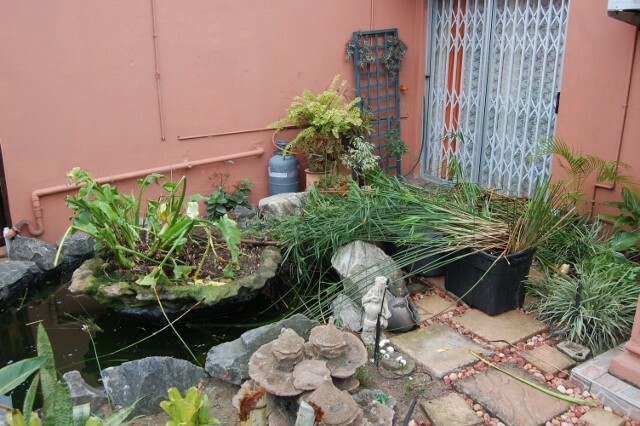 Although the plants use some of the Nitrates which is not good for the Koi, The Nitrates created by the Koi via Nitrites are much more than what plants can sort out. With 10% water changes, you get a far better result. Plants need shallow water, koi needs deeper water. 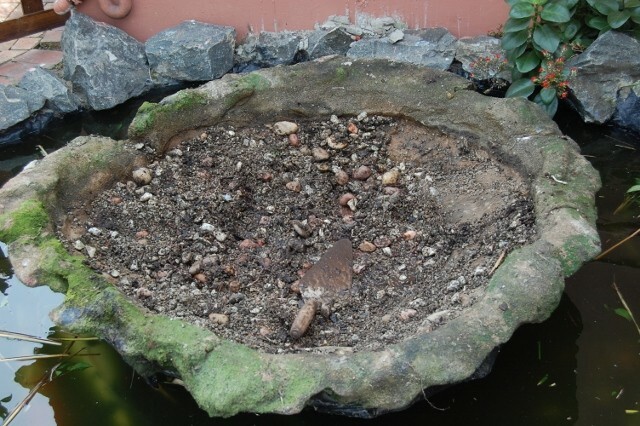 Plants like nutrients, koi need to be protected against too many nutrients. Plants like carbon dioxide and neutral to acidic water conditions, koi like neutral to slightly alkaline systems and low carbon dioxide. Paul this plant thing still bugs me a lot. I get mixed feelings from different koi keepers and can't make up my mind if I want them in my filters or not. the fisrts pictures that i have posted was the after pictures. The one that i post now is the before pictures , when i just planted the plants. That is the biggest problem. Plants take over and should almost be redone every year. 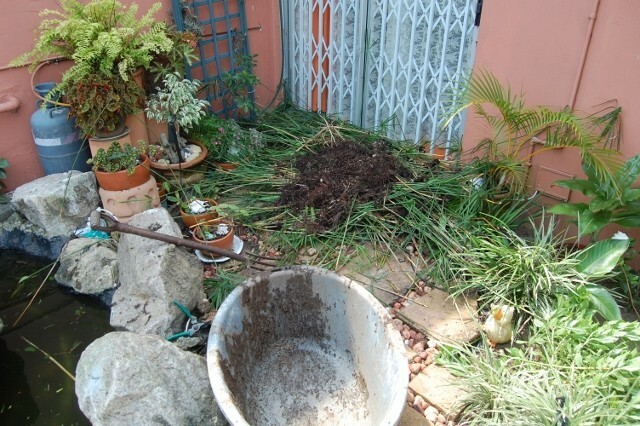 Very important to treat the water with PP when you are redoing the plants. A lot of gunk and baddies will enter the water and increase the organic load in the water. The PP will lower the organic load, bacterial count and parasites. Best is to try and plant them in no soil at all...just bare rooted...and maintain them. Quick question - where can I buy Potassium AND Dipterex to treat water plants. And for the treatment, do I just soke them in a solution? Potasium U buy in pharmacies. Prepare solution of 2g per 10l water and keep the plants for an hour inside. 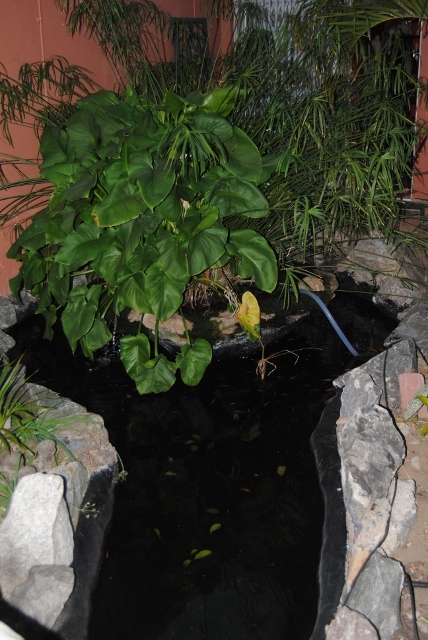 Hi there all , here is just some pic of the cleaning of the plants in my pond. How often do You do it Q. Looks like lots of job. 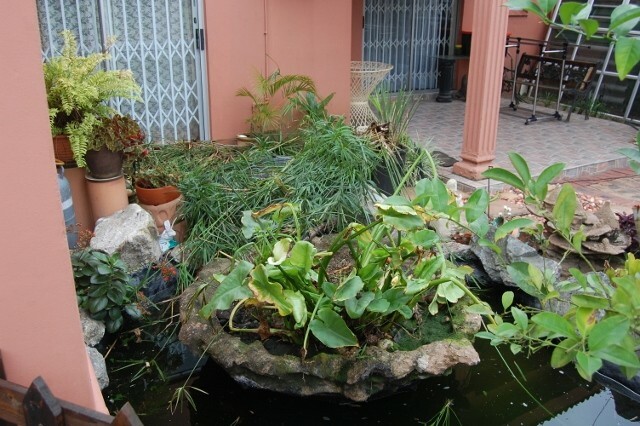 This is the first time that i have add this plants to the pond. They have grow very fast. It was very hard work to clean , and to do it alone to is not easy.